Find a vacation home to rent in Almeria from our list of vacation rental properties. Campaya has over 110 vacation homes available in Almeria, which give you the possibility to locate a unique accommodation in Almeria which completes your check-list in search for the perfect self catering vacation apartments in Almeria or vacation villas in Almeria. This beautiful apartment with communal pool is only a 5 minute walk to the fantastic sandy beach of Roquetas de Mar. The great roof terrace offers plenty of space for sunbathing. This charming one bedroom apartment is situated in the El Baida complex in Roquetas de Mar. Nice and cozy apartment in Cuevas de Almanzora, Almería.To accommodate 4 guests and consisting of 2 bedrooms. 1 bathroom and 1 toilet, distributed on the ground floor. At Roquetas de Mar, this fantastic holiday villa is just a short distance from the beach. 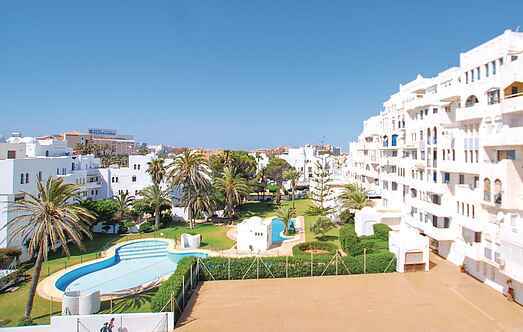 This cozy apartment for 4 people is located directly on the beach of San Juan de los Terreros. 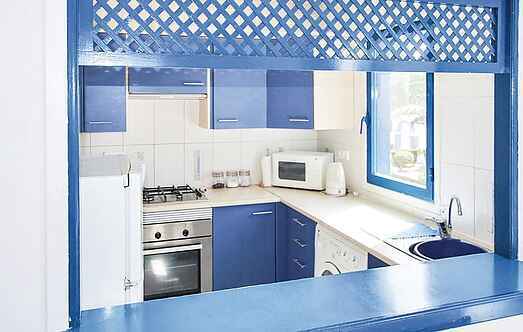 This beautiful apartment near the beach with indoor pool (March to April) and outdoor pool (May to September), lies in a new residential quarter. 2 other lodging options on request.